The Mandelbrot set is probably one of the most stunning and most famous fractals. 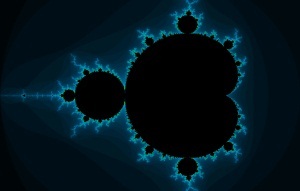 The first graphical versions of the Mandelbrot set were introduced in 1978. In 1980 Benoît Mandelbrot published his paper about this fractal. The basic mathematical principals have already been developed in 1905. 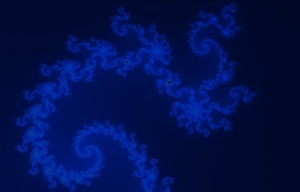 To understand the Mandelbrot set one needs to understand complex numbers and the concept of iteration. Z and C are complex numbers. The start value for Z is always 0. C is the constant part which determines the location of the iteration series in the complex plane. 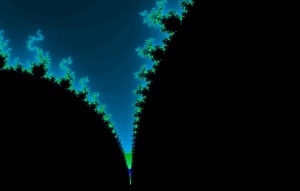 The Mandelbrot set is now the set of Cs whose results are not divergating to infinity but stay in certain boundaries. Usually this set of non divergating constant parts is drawn black. Every C which is not included in this set results in a result that will be infinite after an infinite number of iterations. The additional coloring is optional. (See Color Options) The fractal explorer takes the number of iterations needed for a point to become divergating and divides that through the number of iterations. This factor is then multiplied with a color. 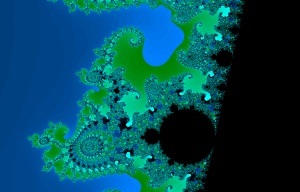 Because the Mandelbrot Set fractal is probably the most famous fractal, it is often being referred in fractal art. The discovery of the Mandelbrot set is a very emotional process. 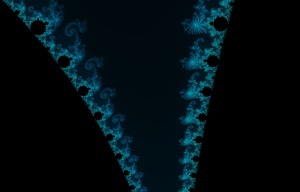 One never knows every detail of the Mandelbrot set and one will always find new, stunning patterns. Take yourself time and dive in this set of complex numbers. After such an experience you will probably understand the beauty of fractals.